Just got the news that WATCH POINT is up for pre-order! This gay Navy SEAL abduction romance can be bought singly or as part of Riptide Publishing’s 2017 Charity Bundle to benefit the Russian LGBT Network. 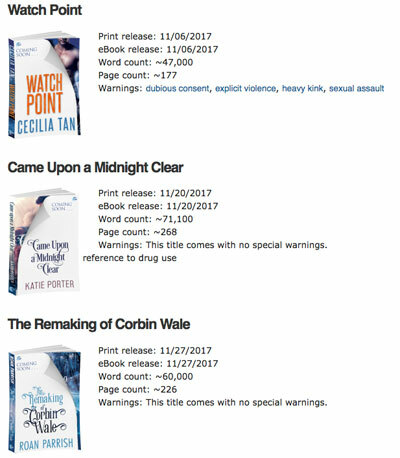 The bundle also contains Roan Parrish’s The Remaking of Corbin Wale, and Katie Porter’s Came Upon a Midnight Clear. 20% of all proceeds, whether you buy the bundle or the individual books, goes to the charity. 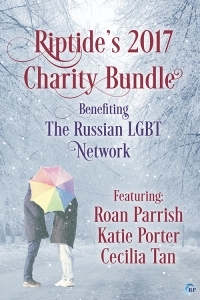 20% of all proceeds will be donated to the Russian LGBT Network. To learn more about the charity or to donate directly, please visit their website: https://lgbtnet.org/en. Cover reveal coming soon! Plus a small blog tour at the beginning of November. The official launch date for WATCH POINT is November 6. First in the Wayward Warrior series by Cecilia Tan.